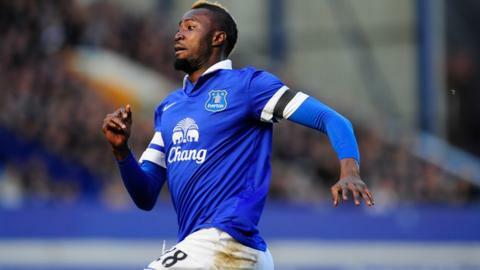 Everton are open to extending Lacina Traore's loan spell despite the Ivorian's injury-ravaged time at the club since he joined from Monaco. The 23-year-old arrived in January and played only 61 minutes, scoring in an FA Cup win, before suffering a season-ending hamstring problem. "We will sit down in the summer and review the situation," Martinez said. "We need to speak to his parent club and see what their thoughts are but he is a very interesting player for us." Some good news for Traore is the assessment that he is expected to be fit in time to stake a claim to be included in Ivory Coast's World Cup squad. The tournament in Brazil kicks off on 12 June, with the Elephants playing their first match against Japan two days later. "Lacina's recovering well and clearly he'll be fully fit for the World Cup if he's considered for selection," added Martinez. Ivory Coast will also face Colombia and Greece in Group C.